Do you love those red and juicy tomatoes? Are you keen to introduce your baby to your favorite fruit? The tangy tomatoes are a hit with both kids and adults. But is it really a good idea to introduce tomatoes to your infant’s diet? Give this post a read to find out. A medium-sized tomato contains 47% of the daily recommended value of vitamin C. Adequate intake of vitamin C helps boost the absorption of iron in the body. Tomatoes are also a rich source of lycopene, an antioxidant that protects the body from a wide range of diseases. A regular consumption of tomatoes also boosts the levels of procollagen, a molecule that will keep your baby’s skin soft and supple. There are several varieties of tomatoes available, so it may be a challenge for you to select the best ones for your little one. Avoid purchasing tart tomatoes for making baby food, select sweet tomatoes instead. Cherry and grape tomatoes are best for infants. Purchase fresh, firm and bruise free tomatoes for making baby food. If possible get tomatoes from a kitchen garden. They taste amazing and remain fresh for a long time. If you cannot find ripe tomatoes, then ripen the tomatoes by placing them in a sealed paper bag with a banana. Ripe tomatoes will last for a couple of days at room temperature. Soups are a tasty and wholesome meal for your child. Want to know how to make tomato soup for baby? Well, here is a simple tomato soup recipe for baby. Peel the skin of the tomatoes and place them in a pan. Add two cups of water into the pan. Add the chopped mint leaves, salt, and pepper powder. Boil the tomatoes for ten minutes. Turn off the flame and keep the tomatoes aside to cool. Transfer it to a mixer and blend it. Sieve the mixture and serve the soup to your child. Make sure the soup you serve your baby is not very hot. Wait until your child is eight months old before introducing vegetables and fruits in his diet. Health experts advise the mother to breastfeed the child until he is at least six months old. Doctors do not recommend tomatoes for babies before 10 to 12 months of age. The high alkaline content in tomatoes may be harsh for an infant’s tummy. 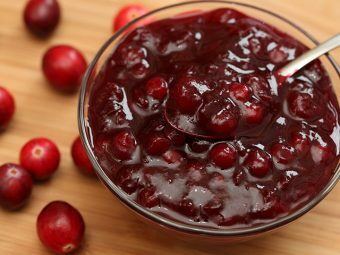 It may cause stomach upset and even rashes around the mouth. Raw tomatoes are more likely to cause these reactions as cooking reduces its acidity. 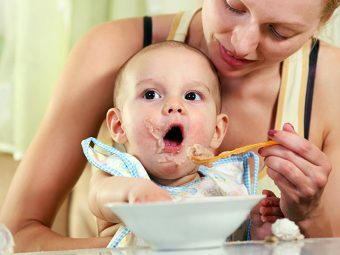 If you are introducing your baby to solid foods, add a new food item after every five days. It will help you keep a track of the food intolerance and allergies. 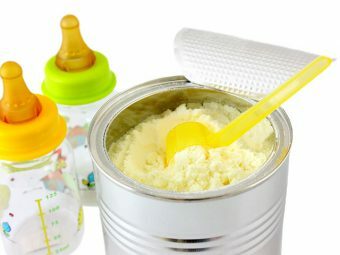 Do not introduce salt to your baby’s food in his first year. Infants need less than a gram of salt per day until they are a year old. Doctors recommend waiting until your baby is eight months old before adding spices to your baby’s diet. Filter the water before using it to wash the fruits and vegetables for cooking your baby’s meals. 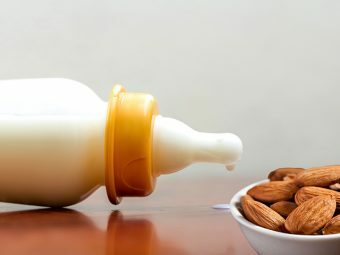 Make sure you check with the pediatricians before adding ghee or butter to your baby’s meals. 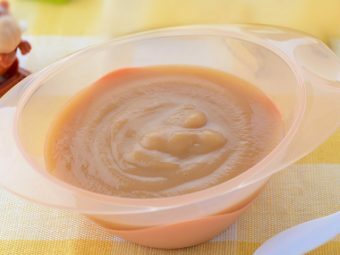 Speak to your pediatrician before introducing your child to solid food. Also, ask your doctor before adding tomato soup for babies meal. If you know any other healthy tomato puree for babies that your little one can drools over, please share it with us.